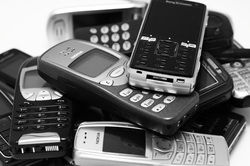 Cell phones not being used just collect dust and take up space... why not donate them to Safe Space? Cell phones with chargers and batteries in good working order can be used as emergency 911-only phones for our clients. For a victim that is unable to leave their home, or is starting over in a new home, an emergency 911-only cell phone can be the difference between life and death. If you are unsure if your cell phone is able to be donated as a 911-only phone, contact Safe Space at 406-782-9807. Cell phone donations can be left at either Glacier Bank location in Butte, MT or at Suited for Success at the Park Street Mall. For more information, email the advocates.